The works of Kirsopp Lake - including the four volume set of articles on the Book of Acts, titled "The Beginnings of Christianity"
The classics by Henry Barclay Swete - including his version of the Greek OT, as well as his works on the Holy Spirit in the NT and the early church. The "Cambridge Septuagint." All the volumes are included -- including the volumes on the Historical Books of the OT. These particular volumes are not covered in the TC Ebind Index. Solomon Schechter's Some Aspects of Rabbinic Theology is still used as a textbook in the subject, and has been reprinted many times. J. B. Lightfoot's multi-volume text and commentary on several of the Apostolic Fathers is also available. BTW, I could only find 2 of the volumes on Google Books that were fully viewable, so this is an instance where you really need Internet Archive. Please add other books that you recommend be downloaded in the comments, and I will add them to this post. eklektekuria said: I would also add Field's edition of the Hexapla. Excellent suggestion! MGVH, excellent heads-up. Thank you! Without enough knowledge to add to what should be downloaded, I'm waiting for other suggestions. Plus with Adobe 9 on an iMac the PDF documents read pretty close to a book with the added advantage of right clicking on a word and going straight to a group of dictionaries. There are several scanned Bible versions available on archive.org. 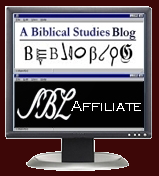 I have links to those (and ones on other sites) at my web site: www.BibleReadersMuseum.com (under "links," then "facs. online).